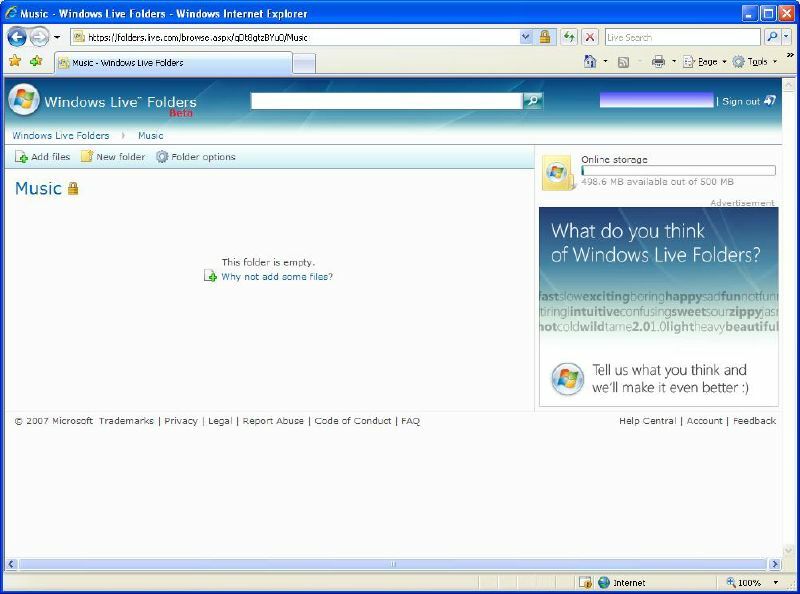 Ever since Microsoft started Windows Live Suite last year, they have been keeping a steady pace of new services integrations in the Windows Live Suite. Lot of online products and services have rolled out and become popular with millions of people worldwide, which includes Windows Live Hotmail, Windows Live Messenger, Windows Live Spaces, Windows Live OneCare and others. 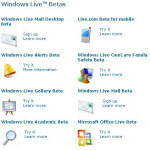 The new arrivals in the managed beta testing of Windows Live Suite is Windows Live Photo Gallery Beta and Windows Live Folders Beta. Windows Live Photo Gallery beta is an improvement on the initial version of Photo Gallery they shipped with Windows Vista and now available for Windows XP SP2 as well. 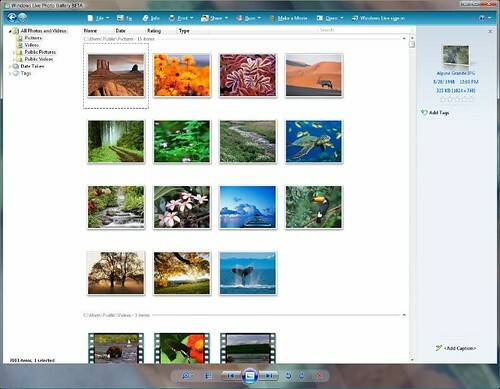 Here are the list of some new features that you will see in improved version of Windows Photo Gallery. 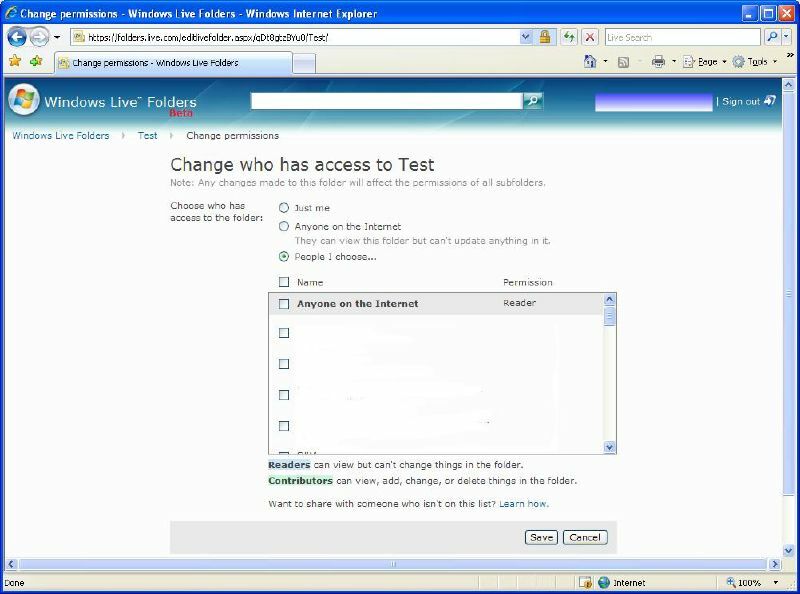 Integration with Windows Live services such as Windows Live Spaces. Auto event grouping and tagging when importing photos from your camera to PC. 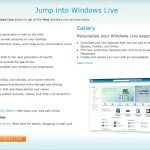 According to the Microsoft Press Release, the initial managed beta of Windows Live Photo Gallery beta is available today in nine markets around the world so far (including the United States (English and Spanish), China, France, Germany, Great Britain, India, Japan, and Spain), with more to come. 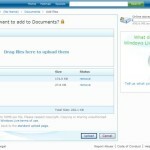 They have also promised to offer a single installer very soon, which will give customers the option of an all-in-one download for the full Windows Live suite of services instead of the separate installation experience you see today. 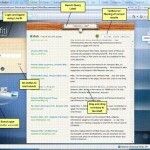 Originally called “Live Drive”, Live Folders is getting off the ground before the widely rumored GDrive. The service is being launched into a managed beta in United States right now as just a starting point. 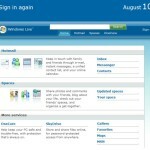 It will give a selected group of testers 500MB of free online storage space. The new storage system will be located on an entirely new computing infrastructure Microsoft has been building to power Silverlight Streaming service and Hotmail system. 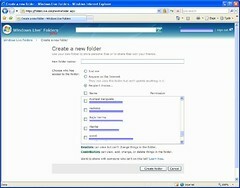 The Windows Live Folders is very straight forward. 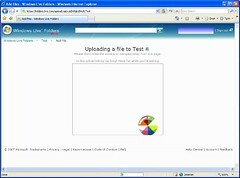 Users can upload the files via web form. 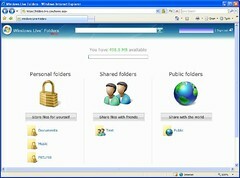 Once on the system, files or folders can be marked public, private or be shared with other Windows Live users by username. 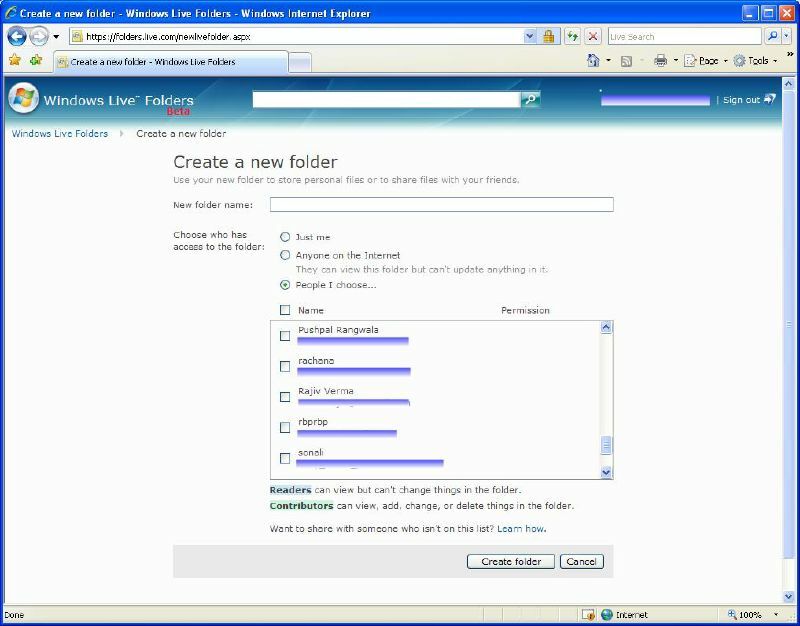 The folders or files can be accessed through permalink and it is right now download only since Microsoft doesn’t have an office suite yet. 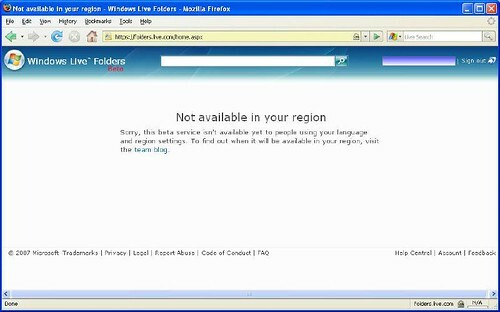 I can only access the homepage of Windows Live Folders through Firefox and IE 6.0 but when after logged on I get “Not available in your region”, very strange, It looks like the services is not stable yet. 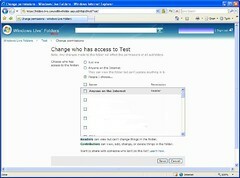 But if I try to access any permalinks on IE 6.0 and Firefox, it works. 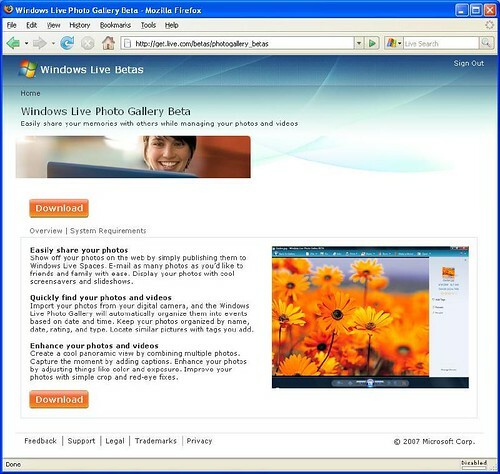 Until now, I didn’t get any way to download Windows Live Photogallery Beta. 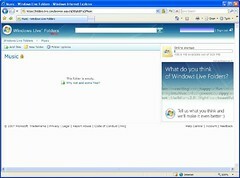 But managed to find out a trick to access Windows Live Folder from outside United States. The trick is to change the Market cookie to en-us, which can be done by appending “mkt=en-us” querystring in the URL. Let me know if this trick works in your country, atleast it is working in United Kingdom. Thanks for sharing the trick. It works for me as well, I am India.